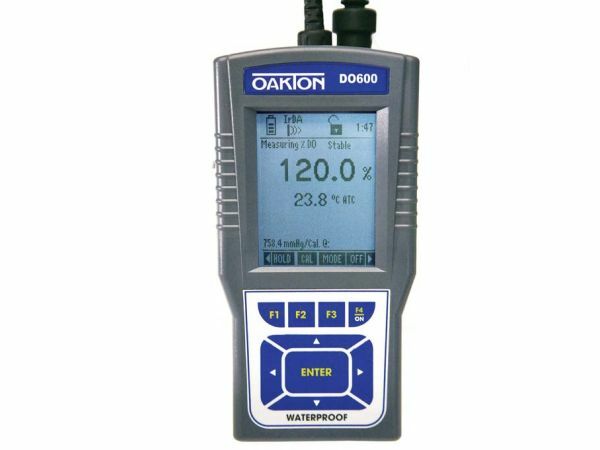 Oakton DO 600 Meter - Osprey Scientific Inc.
Stores up to 500 data points with time-and-date stamp for GLP compliance. 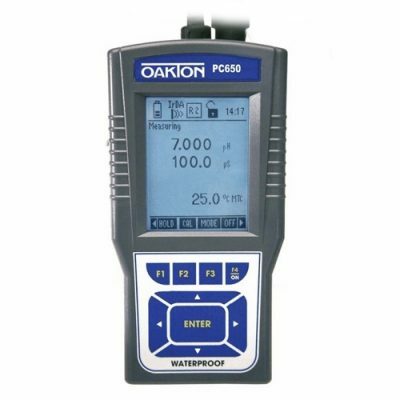 0.00 to 90.0 mg/L (ppm) dissolved oxygen range; 0.0 to 600.0% saturation. 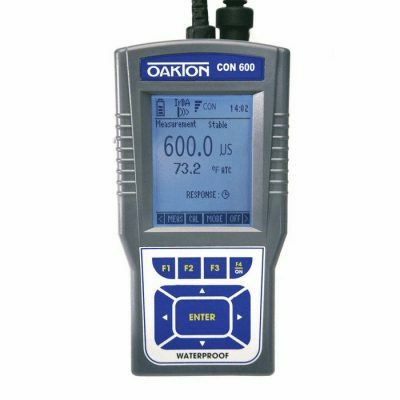 These top-of-the-line waterproof meters offer single or multi-parameter measurement capabilities to meet all of your testing needs. 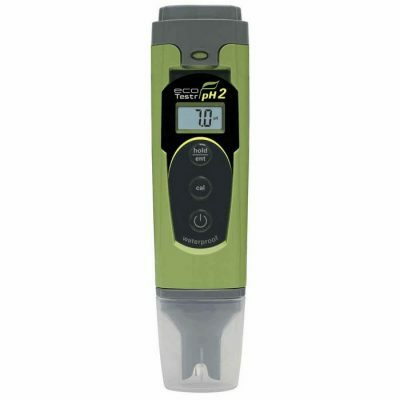 The IP67-rated housing allows use in dirty and wet environments without harm to the meter. Store up to 500 data points with manual or auto data-logging and download to computer or printer with the infrared (IrDA) wireless technology — no need for additional cords. User-selectable “calibration due” and set point alarms, automatic or manual standards recognition, and single- or multiple-point calibration provide flexibility in meeting your data quality objectives. 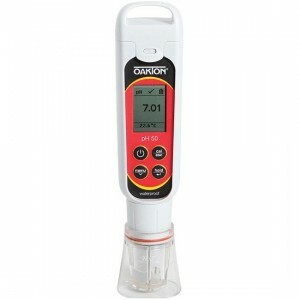 The large, backlit graphic LCD shows the measured value and units, temperature, time, battery life, and menu options.